Big strides have been made recently in the acknowledgment that overhead ratios are poor indicators of an organization’s impact or financial efficiency. Although the movement toward outcomes-based measurement offers a promising alternative to understanding impact, very little has been done to truly shift the sector’s understanding of what it takes—or even means—for nonprofits to be financially efficient and adaptable. The myths and misinterpretations of the true full costs of delivering vital programs have contributed to a chronically fragile social infrastructure for our communities. This webinar presents a conceptual review to help nonprofit executives’ understanding of the issue, frame overhead costs and how it relates to funding and mission. 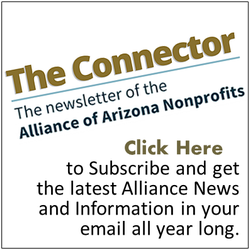 For funders, this webinar can be paired with NPQ’s recent articles on multi-year, unrestricted grantmaking; see here, here, and here. Speaker Claire Knowlton is Director in Advisory Services at the Nonprofit Finance Fund(NFF). She works with funders, nonprofits and partners to improve the financial health of the social sector in Los Angeles and Southern California. Claire was executive director of a community-based art center in Los Angeles for eight years, where she brought the organization from financial distress to a model of excellence in programming and organizational management. Claire is co-founder and board president of The Life You Can Save, a nonprofit committed to ending extreme poverty by directing philanthropic dollars to the most effective solutions. How does overhead relate to funding and mission?